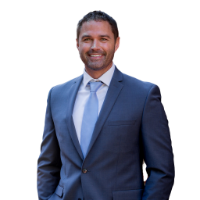 Putting his marketing background to work for his clients has made Del Shaffer one of the most sought-after agents in his Mount Pleasant, South Carolina, market. But beyond the bells and whistles of a stellar marketing plan, Shaffer finds that hitting the basics — communication and customer service — can make the difference in both client outcomes and satisfaction. After graduating from The Citadel in 2001, I started working in the marketing department at Carolina One. After spending some time abroad, I returned as an agent five years ago. In that time, I have been named “Best Realtor in Mt. Pleasant” in both 2017 and 2018. In five years, I will still be serving the people in my area by helping them with their real estate needs but also hope to have time to serve in other ways. I want to be able to spend more time with my family, maybe coaching my kid(s) in soccer, recording my podcast and giving back to my community and Christian missions. Lastly, I will hopefully still be active through training for running races or playing pickup soccer. Everyone has a story, and I need to listen to understand people I’m working with to help them realize their dreams. One big lesson of many that I’ve learned in real estate is communication is the key. This includes answering the phone, returning calls promptly and being in communication with clients telling them what’s going on and answering any questions they have. I learned quickly in real estate that many Realtors have given us a bad name by not answering the phone or being late to showings. By being excellent at answering my phone and getting back to people with information, it has helped to set me apart and become very helpful by being available to my clients in a very important [and] stressful time. Spend as much time as you can around the experienced agents whether that be in the office or taking them to lunch. I spent a ton of time in my first office in a cubicle listening to other agents stories and going to ask them questions and advice. Find out what trends have been! Has the 'Tinder Effect' taken the romance out of Homebuying?